Hudson Valley Freelancer. Check out my work at chailandau.com! 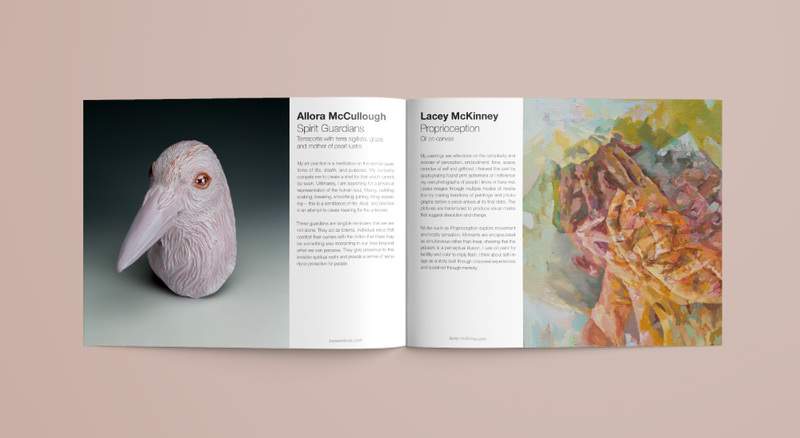 SUNY New Paltz hired me to create a catalogue for an MFA exhibition at a high profile gallery in Brooklyn. 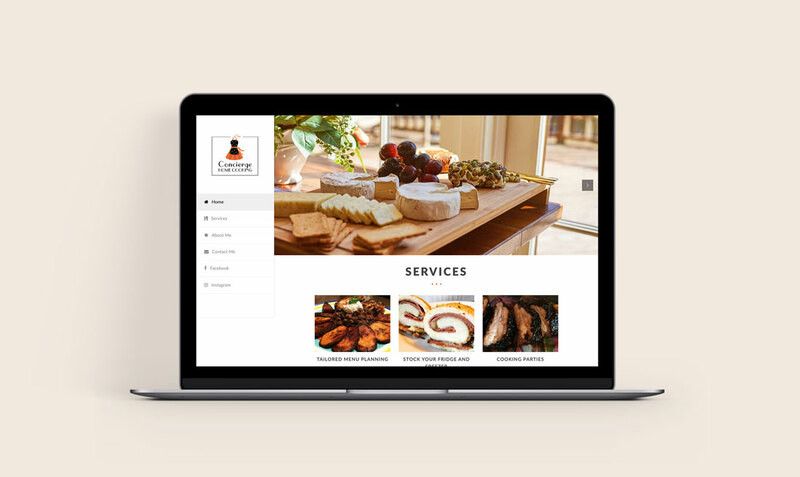 Concierge Home Cooking needed a simple yet user friendly site for her private chef business. 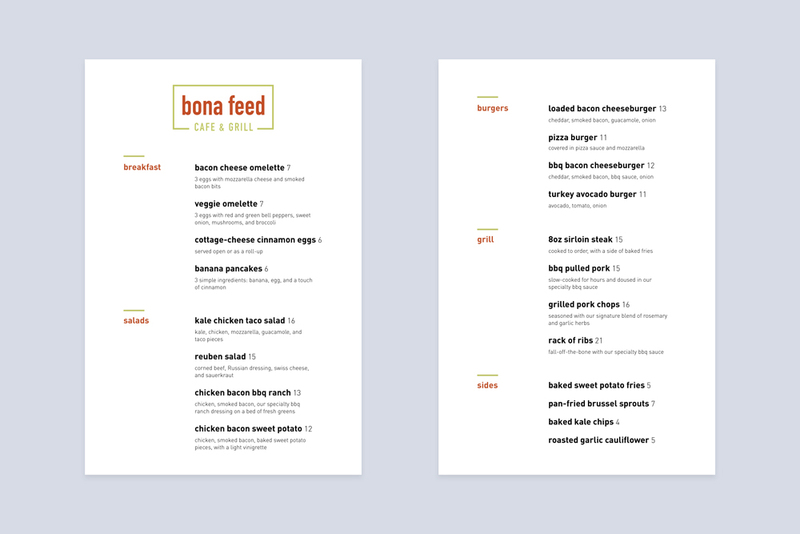 Bona Feed is a cafe / grill that caters to healthy-minded people. 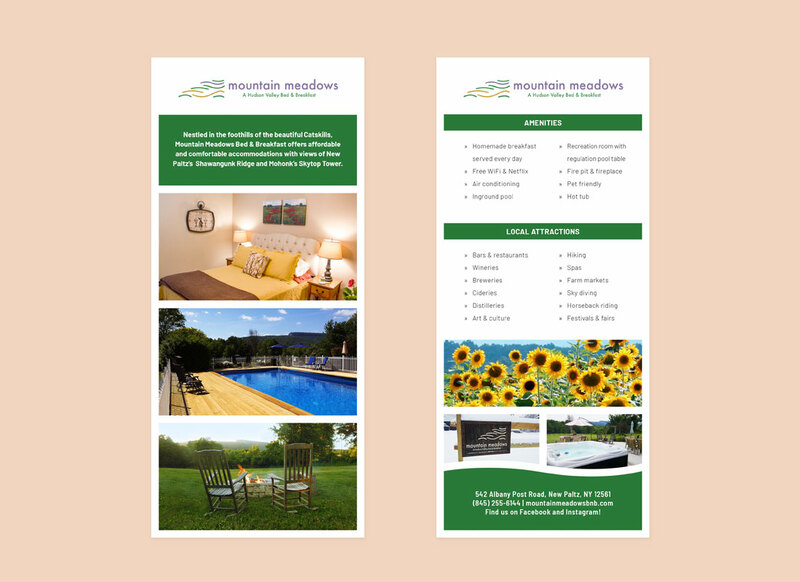 I created this rack card for Mountain Meadows, a local bed and breakfast. 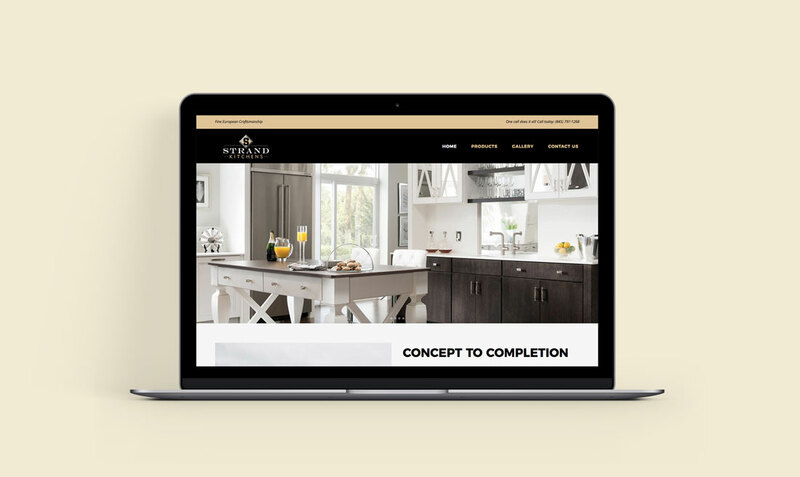 The owner of Strand Kitchens wanted a website that was very simple, but elegant. 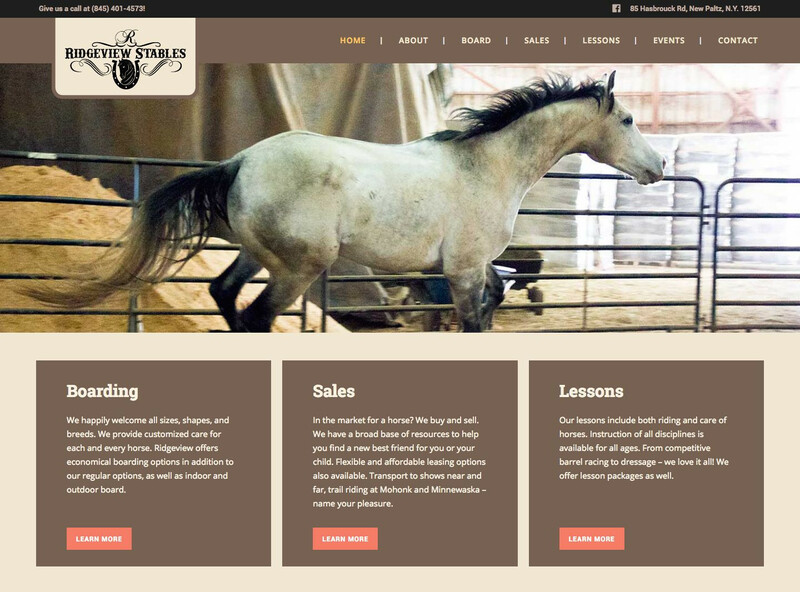 Ridgeview Stables is a local barn with a templated Vistaprint website. 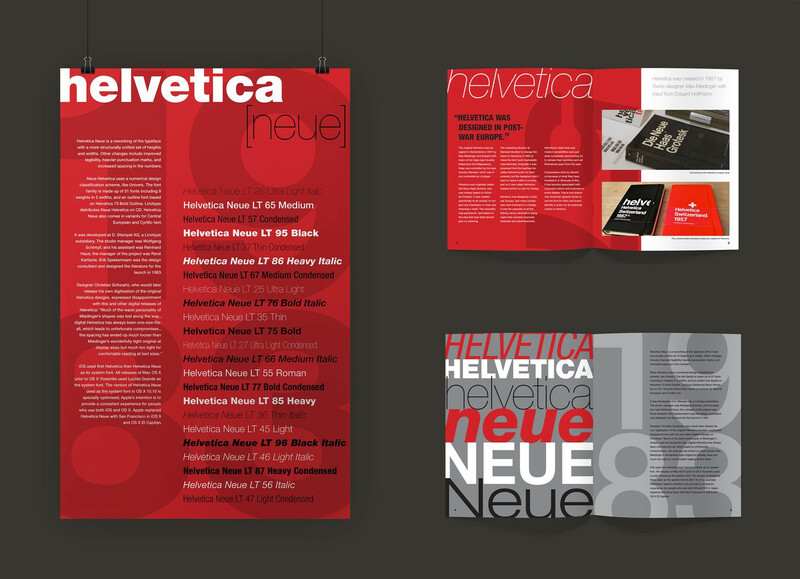 Students selected their favorite typeface and created a complementary brochure and poster based on it.